Everyday folks will not know the name, Gary Fisch, but in the wine world, to those who sell and make wine, he is an icon. He personifies entrepreneurs at their best. 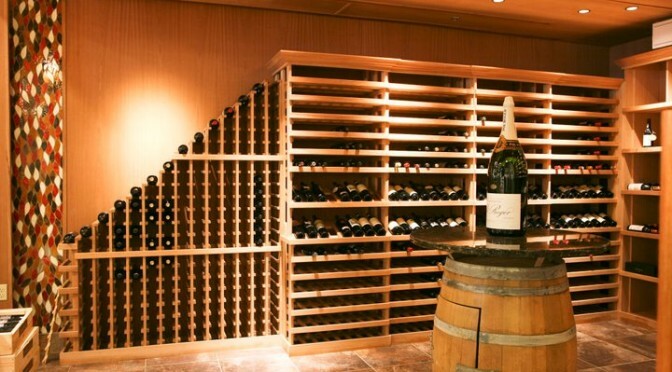 Fisch’s stores are considered to be the number one seller of high-end California wines. Although based in the state of New Jersey, the stores sell throughout the United States. 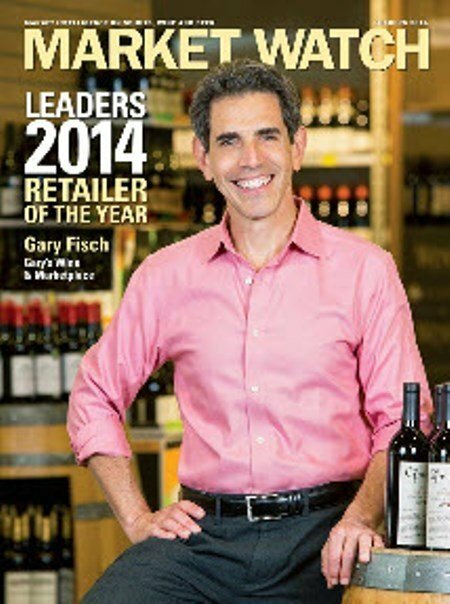 To honor such a distinction, Gary’s Wine & Marketplace was chosen as Market Watch Magazine’s 2014 Retailer of The Year. This year, They have received the honor of the 2015 Great Oak Award from New Jersey Monthly for corporate social responsibility. Since opening his first store in Madison, Fisch has grown his business from $800,000 – starting in 1987 — to a $50 million business today. 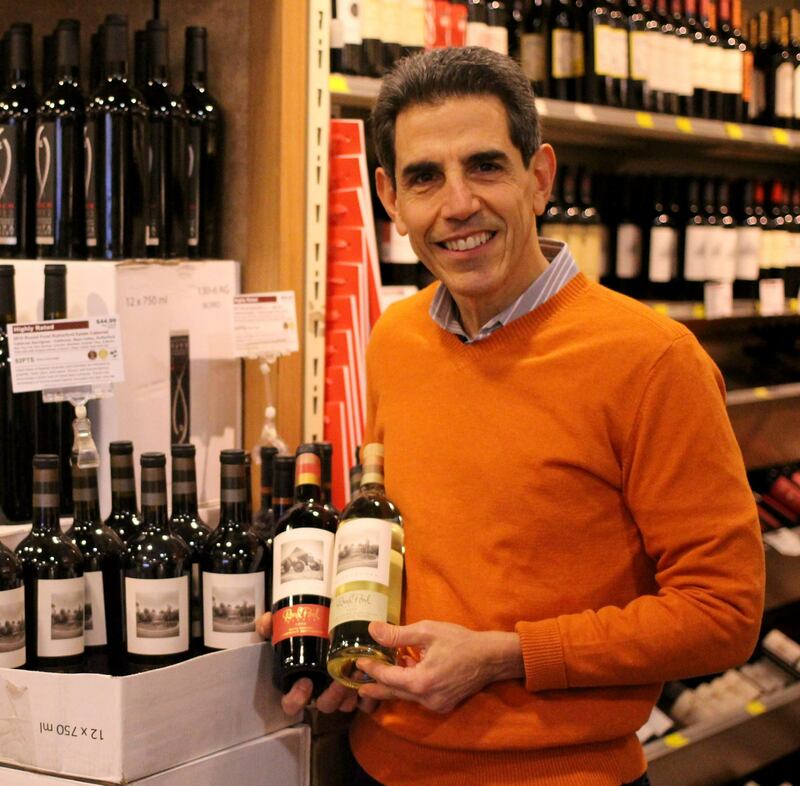 Gary’s Wine & Marketplace have an additional three locations including Bernardsville, Wayne, and Hillsborough along with the original site. They also have an on-line shopping experience with shipping to 37 states. Fisch followed in his father’s footsteps and began his career in the 1980s as a salesperson for a local wine and spirits distributor. Gary and his brother purchased their first 1,200-square-foot liquor store in Madison, NJ, then named Shopper’s Discount Liquor. In 2000, the Madison store was re-branded as Gary’s Wine & Marketplace and associated it with Gary’s personality, presence and his increasing accumulation of wine knowledge. Fisch travels annually to Napa Valley sometimes three to four times a year tasting, selecting and purchasing wines. He says,” There is great wines in the world everywhere, but I have a fondness for Napa Valley. I was able to celebrate my daughter’s 21st birthday with our family. It was truly unique.” He recounts the day fondly as his family feasted and drank with wine doyenne Margit Mondavi and celebrity chef Michael Chiarello. However, he also has a fondness for Italy as well as he talks about luscious Tuscany and Piedmontese grapes which he loves to taste and explore. 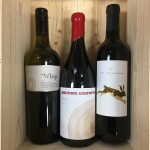 Gary’s Wine & Marketplace is the source of top Napa and international wines and bottles. They may be in the Garden State but their retail arm is omnipresent. For collectors, oenophiles and everyday people, Gary’s Wine & Marketplace – which also sells cheese and wine accessories – is the emporium for an unparalleled selection of luxury vintners and knowledge. What is your favorite food to cook at home? Burgers on the grill. Or if no one’s looking, sardines on a salad. What do you always have in your fridge at home? Umm…wine! What marked characteristic do you love in a person with whom you are sharing a meal? Someone who laughs at my jokes, which means I can only eat dinner with the same person once. What marked characteristic do you find unappealing in a person with whom you are sharing a meal? Wine snob. Beer, wine or cocktail? Wine, of course! Your favorite cookbook author? I don’t use cookbooks. But if I had to, I would choose one of Bobby Flay’s books. Your favorite kitchen tool? Spatula. Favorite types of cuisine to cook? Anything my wife cooks. Beef, chicken, pork or tofu? Chicken. Chef you most admire? Michael Chiarello. Food you like the most to eat? Anything. Food you dislike the most? Blue cheese. What is your favorite non-food thing to do? Run. Danny Meyer, his staff continually delivers exceptional service and hospitality. Where is your favorite place to eat? Napa. What is your favorite restaurant? In Napa, Farmstead and Bottega. In New Jersey, Jockey Hollow Bar & Kitchen (Morristown, NJ) and Redux (Madison, NJ). Do you have any tattoos? And if so, how many are of food? No tattoos! If you’re not sure whether to get a Chardonnay or a Sauvignon Blanc, we suggest you go with Murrieta’s Well “The Whip”—a white blend of 28% Semillon, 24% Chardonnay, 14% Sauvignon Blanc, 11% Orange Muscat, 11% Viognier, 11% Gewurztraminer, 1% White Riesling. This sophisticated white blend can hold up to the variety of flavors at Thanksgiving dinner, and will delight both Chardonnay and Sauvignon Blanc fans. With pronounced aromas of white peach, pear, citrus and melon, along with flavors of cantaloupe, green pear, and butterscotch, Murrieta’s Well “The Whip” is the perfect crowd-pleaser wine for Thanksgiving. This Oregon Pinot Noir from Willamette Valley is an enjoyable, silky, multi-layered wine that you are sure to enjoy during Thanksgiving Dinner. With bright red fruit aromas and flavors of candied cherry, pomegranate, cranberry and raspberry, along with a touch of nutmeg and cinnamon, this elegant Pinot Noir Pair will pair with salmon, ahi tuna, veal, pork, poultry or hearty vegetarian entrees. Capturing the essence and complexity of our ancient vines, while maintaining youthful appeal from the fruit of the younger ones, this Zin has sweet red and black fruits which surround a rounded core of soft but ample tannins, offering up a mouthful of supple textures and layers of lovely fruit. GARY’S GUIDE TO CREATING AN IMPRESSIVE HOLIDAY CHEESE PLATTERS: Need to make a cheese platter? No problem! Just following the simple steps below and you are guaranteed to impress your guests. Start with the basics; You should always have a creamy cheese, hard cheese and a semi soft cheese. My recommendation would be a Delice de Bourgogne (a brie like French cow’s milk triple crème cheese), Manchego (a Spanish Sheep’s milk cheese) and Cotswold (an English onion and chive cheddar made with Cow’s milk). You always have the option to add a goat cheese and/or a blue cheese to the mix depending on your taste. Dress up your cheese: You can dress up your cheese with all types of yummy items. Try Truffle honey drizzled over a fresh goat cheese, fig jam with Spanish cheese, like as Manchego, or red pepper jelly with brie. How to eat your cheese: You can eat your cheese on so many things! Don’t restrict yourself to a plain cracker. Try something with flavor such as, Jan’s farmhouse cranberry pistachio cracker or Stonewall Rosemary Parmesan Cracker. Add fruit to the platter. 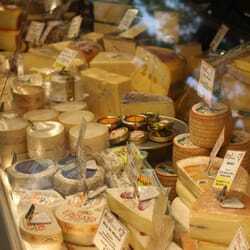 Any addition of fruit is a perfect paring for cheeses. Try these on your next platter, grapes, strawberries, fresh figs, pickled pears, cherries soaked in brandy and that’s just to name a few!! There are so many options. You can choose from a ceramic plate or a rustic looking slate board. There are so many option so let loose and have fun. When you’re finished making the platter pour yourself a glass of wine, sit back and dig in. Cheers!